The cargo compartments of the PNTL fleet are protected by a double hull configuration, extending to twenty per cent of the beam (width) on both sides of each ship. In addition, the hulls are reinforced with 400 tonnes of extra steel to withstand collision damage. 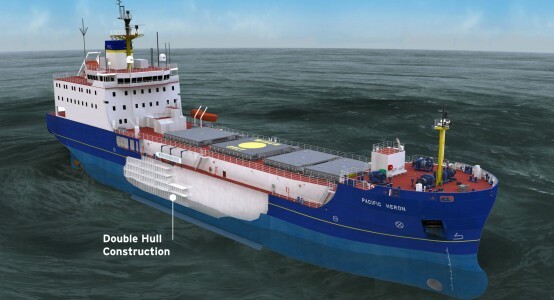 The reinforced double hulls of the PNTL ships are designed to ensure that the casks on board would not be directly impacted in a severe collision at sea.